These 1,000 plus quilt block patterns will all link directly back to their creator and source of the design! I have been collecting these for a year now and they come from a variety of sources. I am just linking you...to them! Enjoy!!! *If any links appear broken, but I have left it in, it means you must sign in for free (McCalls etc) before you can view them. Sometimes, it means your own settings won't connect to that site. The others link directly...if they don't, that site has simply removed that pattern or they have shut down or broken a link, themselves!Updated through 2009, 2010 and forward year by year into 2016. List begins with a few most often requested sizes and themes and then switches to the large alphabetized quilt block patterns. I am slowly adding to each category, so come back often! Scan on down to find just what you want. 10th Star ...12" Part Paper Piecing! A Gaggle of Pinwheels ...12"
All Ways ...12" part Paper Piecing! Another Nine Patch Star ...12"
Arkansas Traveler Variation ...12" Paper Piecing! A Striped Plain Quilt ...12" Paper Piecing! A Triple Star ...12" Paper Piecing! Aunt Rachel's Star ...12" Paper Piecing! Bird of Paradise ...12" Part Paper Piecing! Birds In The Air ...12"
Blazing Star ...12" Part Paper Piecing! ( Mini) Bow Tie ...12"
Boxes & Bows ...12" Paper Piecing! Braced Star Variation One ...12"
Braced Star Variation Two ...12"
Brother Bear/Sister Sun ...12" Paper Piecing! Caned Seat ...12" Paper Piecing! Caned Squares ...12" Paper Piecing! Carol's Star ...12" Paper Piecing! Carolyn's Star ...9" and 12"
Castle in the Air ...12"
Cathy's Star ...9" and 12"
Celtic Sunrise ...12" Paper Piecing! Checkerpins ...12" Part Paper Piecing! Children Take Wing ...12" Part Paper Piecing! Chinese Puzzle (Easy Version) ...12"
Christmas Quilt 2002 ...12"block...72" x 84" quilt Part Paper Piecing! Christmas Star 2003 ...12"block / 32" Wall Hanging Paper Piecing! Christmas Runner 2003 ...12"block / 48" RunnerPaper Piecing! Chris's Star ...9" and 12"
Colorado Pass ...12" part Paper Piecing! Courthouse Star ...12" part Paper Piecing! Crab Claws ...12" Paper Piecing! Crown of Thorns 2 ... 12"
Denise's Star ...9" and 12"
Dessa's Delight ...12" Paper Piecing! Devil's Puzzle ...12 Paper Piecing! Diamond Chain ...12" part Paper Piecing! Divided Star ...12" Paper Piecing! Dolly Madison Star ...12" part Paper Piecing! Double Chain ...12" part Paper Piecing! Double Star ...12" Paper Piecing! Double Windmill 2 ...12" Paper Piecing! Ebb Tide ...12" Paper Piecing! Eight Pointed Star Variation 2 ...12" Paper Piecing! Eight Pointed Star # 4 ...12"
Endless Chain ...12" Paper Piecing! Exploding Star ...12" Paper Piecing! Eyes of March ...12" Paper Piecing! Fabric Boxes ...12" Paper Piecing! Fading Star ...12" Part Paper or Regular Piecing! Field of Stars ...12" Paper Piecing! Fifty-Four Forty or Fight! ...12"
Five Spot ...12" Paper Piecing! Flies in the Barn ...12"
Florida Star ...12" Paper Piecing! Fort Sumter ...12" Paper Piecing! Four & Twenty Blackbirds ...12" Paper Piecing! Four on the Road ...12"
Four Patch Fox & Goose ...12"
Four Squares Two ... 12"
Four Stars ...12" Part Paper Piecing! Framed Star ...12" Part Paper Piecing! Friendship Circle ...12" Paper Piecing! Garden Gazebo ...12" Paper Piecing! Giant Stars ...12" Paper Piecing! Girl's Joy ...12" Paper Piecing! Godey's Star ...12" Paper Piecing! 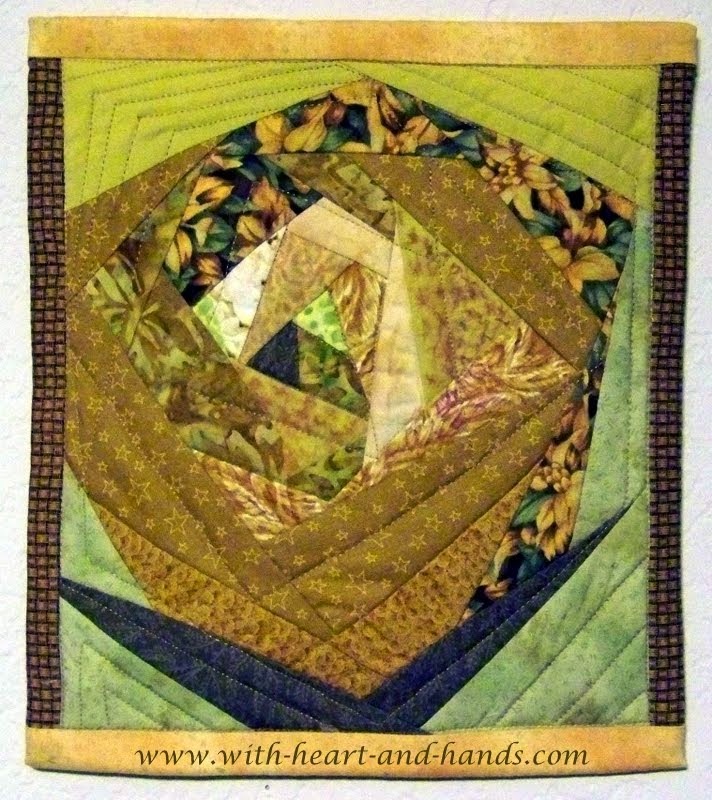 Golden Wedding Ring ...12" Paper Piecing! Grandmother's Favorite ...12" Part Paper Piecing! Hole in the Barn Door ...12"
Home for Christmas ...12" Paper Piecing! Hunter's Star ...12" regular templates and Paper Piecing! Illinois Blues ...12" Paper Piecing! Indiana Circle ...12" Part Appliqu�! Interwoven Diamonds ...12" Paper Piecing! Johnny Around the Corner ...12"
Klondike Star ...12" Paper Piecing! Lady of the Lake 2 ...12"
Lattice Square (Easy Version) ...12"
Lazy Daisy ...12" Paper Piecing! Left and Right ...12" Paper Piecing! Light and Dark ...12" Paper Piecing! Lightning in the Kitchen! ...12" Part Paper Piecing! Linda's Star ...9" and 12"
Links Block ...12" Paper Piecing! Log Cabin ...12" or 7"Paper Piecing! London Roads ...12" Paper Piecing! Love in a Mist ...12"
Manila Quilt Design ...12" Paper Piecing! Maryland Star (Hectors Orange Quilt) ...12" Paper Piecing! Missouri Star ...12" Paper Piecing! Monkey Wrench (Snail's Trail) ...12"
Montana Mountain Maze ...12" Part Paper Piecing! Moon & Star ...12" Part Regular Piecing and Part Appliqu�! Moon Over the Mountain ...12"
Morning Stars ...12" Paper Piecing! New Hampshire Star ...12" Paper or Regular Piecing! New Jersey ...12" Paper Piecing! New Star ...10" or 12" Paper Piecing! New York Star ...12" Paper Piecing! Night and Day ...12" Paper Piecing! 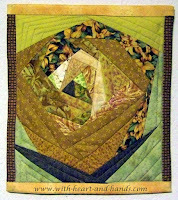 No Name Block # 2 ...12"
North Wind ...12" regular piecing - or 6" Paper Piecing! Nosegay ...12" part Paper Piecing! Old Blue & Yeller ...12"
Old Snowflake ...12" part Paper Piecing! Olympia Variation ...12" Paper Piecing! On A Clear Night ...12" Paper Piecing! On the Oregon Trail ...12"
Open Boxes ...12" Paper Piecing! Other Side of Paradise ...12" Paper Piecing! Palm Leaves Hosannah ! ...12" Paper Piecing! Paper Stars ...12" Paper Piecing! Patch as Patch Can ...12"
Patchwork Butterfly ...12" x 13" some reg. piecing too! Pat's Star ...9" and 12"
Pickerel Tooth Square ...12" Paper Piecing! Pineapple Star ...12" Paper Piecing! Pine Burr ...12" Part Paper Piecing! (The) Pines ...12" Paper Piecing! Pins and Stars ...12" Paper Piecing! Pins in Motion ...12" Part Paper Piecing! 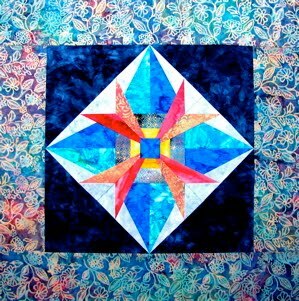 Pinwheel Star ...12" Paper Piecing! Plaid Paws ...12" part Paper Piecing! Plaid Scrap Block ...12" reg. templates + Paper Piecing! Puss in the Corner 3 ...12"
Rail Fence ...12" Really Easy! Random Orbit ...12" Paper Piecing! Really Split Nine Patch ...12"
Red Emperor ...12", and optional 6" Paper Piecing! Red Herrings ...12" Paper Piecing! Rhode Island ...12" Paper Piecing! Ribbons Two ...12" Paper Piecing! Rings in Motion ...12" Paper Piecing! Road to Oklahoma ...12and 6" Paper Piecing! Rob Peter to Pay Paul ...12"
Rocky Road to California ...12"
Rocky Road to Dublin ...12"
Rocky Road to Kansas ...12"
Rolling Star ...12" Paper Piecing! Row Houses ...10" Paper Piecing! Stairs to the Stars Reg. or Paper Piecing! Star O'er Bethlehem ...12"Paper Piecing! The North Star ...12" Part Paper Piecing! Twelve Days of Redwork ..but I've found the patterns at my links below! The Sixth Day of Christmas . The Ninth Day of Christmas . The Tenth Day of Christmas . Free Quilt Block Patterns, Alphabetized Huge List! Bonnie Scotsman Quilt Block Pattern & Quilt Pattern - 10"
Butterfly by Sindy, who has many other fun ones, as well! P:::: checked for broken links on 6/19/12 to here, will complete checking soon! 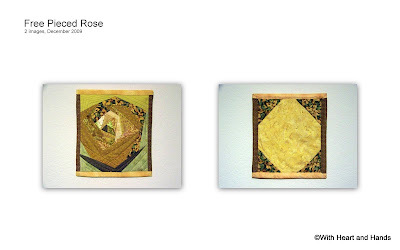 Shown at top: My completed block for the Australian Bushfires--Quilters Can Help! MYSTERY SCRAPPY SAMPLER II - an Internet Block of the Month Even a good mystery is better with a theme: Did she do it with Batiks? Did 1930’s or Brights lead her down the path of intrigue? Was the butler responsible for the shockingly beautiful reds and blacks? Join us for six months of secretive sewing, deciphering subtly placed clues (oh, okay the clues are easy…) Print out clue sheets, once a month, month, September through February, you’ll crack the case and come up with a lap quilt that reveals that someone was guzilty of making six different blocks from an awesome set of scraps! Free BOM download blocks for 'Building Blocks' fabric kits available for purchase at her lovely website, check out her out! Some are applique, some use embroidery! 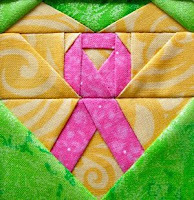 All quilt blocks link up to original post/designer. Please say thank you to those who share so generously!!! QUILT BLOCK LIBRARY: Links to original sites!! Hola, Michele!!! Feliz Cumpleaños!!! Espero que haya pasado un hermoso día ayer y que este sea un GRAN AÑO!!! Muchas gracias por sus permanentes regalos (links a cosas bellísimas) que comparte tan dulcemente con todas!!! Que tenga una Maravillosa Navidad y que el Año Nuevo llegue cargado de SALUD, AMOR Y TRABAJO! Abrazos!!! Wow you certainly are going to keep everybody busy with that huge list. Thanks for doing all that for us. Yes, that's a lot of links! Thanks for sharing. I really like your quote about a woman giving back to the world through her art. How in the WORLD did you find time to save and organize all of these on top of making 50 homemade gifts for Christmas? You are either a super woman or you never sleep. This is unbelievable! The best free quilt blocks list I have seen in one place at one time on one page! And almost none of your links are broken...I checked first! Thank you so much! How wonderful to share your links with us. Thank you so much and Merry Christmas and Happy Birthday, too. These links are going to be very helpful indeed,lots of varieties and designs...wow. Holy Catfish! I've seen your link list before (and used it a time or two) but to think that you've added to it just blows my mind! This is an amazing list...wow! That could keep me busy for the rest of my life! Thank you for this fabulious list. As a fairly new quilter this was a gold mine in itself. omg i am so happy to have found your blog. I will be refering to it allot. I have been wanting to make a quilt, and I thought i would start on one. I was looking on the internet to find a pattern. i found your blog. I am so excited. Now i have to decided which one. Thank you for taking the time and patience to put these here. Just a heads up. Was looking for easy basket block. This list is amazing! What a great job you did collecting and organizing all, thanks for sharing! Thank you for sharing this incredibly useful resource. What an incredible resource this post is, so many amazing patterns to get started on, I barely know where to begin!